RIDGID® drain cleaning tools, ranging from hand tools, sink machines, drum/sectional machines to jetters, have been delivering reliable performance to the skilled trades for decades. Drag them out of a truck, down the stairs or up a ladder: our cleaners can take it. We’ve stood by professionals (and our products) for decades, getting more plumbers from apprenticeship to retirement than any other brand. From small residential clogs to heavy-duty municipal lines, RIDGID builds drain cleaners that can handle any type of service call. From sinks to sewers, we make the right tool for every drain cleaning job. RIDGID® Hand Tools allow you to easily clear obstructions in toilets and drain lines. 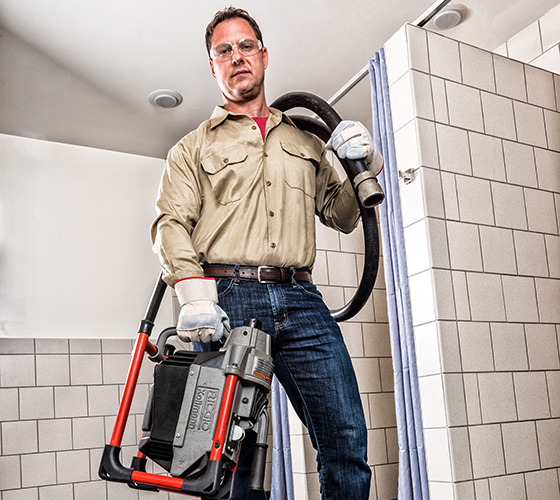 RIDGID Sink Machines are portable, compact, lightweight yet powerful. 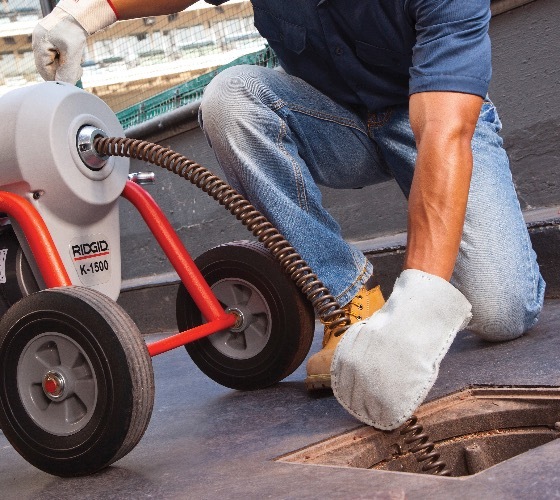 RIDGID Drum Machines deliver high torque to clear obstructions in commercial and residential drain lines. RIDGID Sectional Machines use high-speed cutting action to drill through obstructions. RIDGID Rodders are designed specifically for larger diameter drain lines. RIDGID Water Jetting Machines are ideal for clearing grease, sewage or soap clogged lines. RIDGID® offers a wide variety of cutters and augers to clean everything from grease to root blockages. Click to try our drain cleaner selection tool.